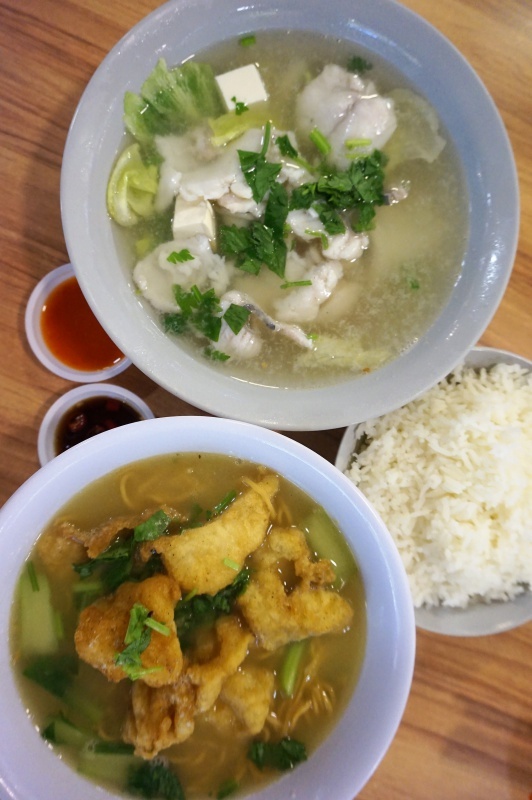 Two of the fish soup stalls that we patronised the most are the Ah Koon Fish Soup at Bedok and Chi You Lai fish soup at Loyang Point All Family Food Court. 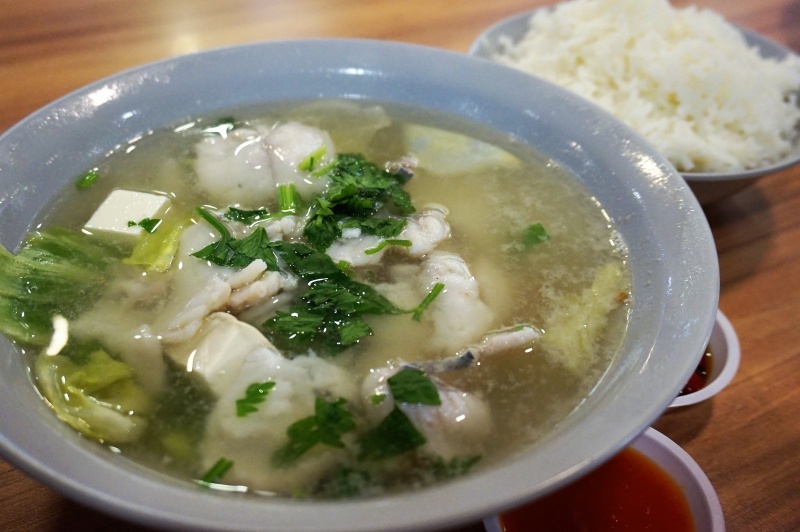 Of course, there are other good fish soup stalls around but the two stalls close proximity to where we are residing come in conveniently whenever we crave for some healthy food. We have reviewed Ah Koon Fish Soup but apparently has not done so to Chi You Lai fish soup even after countless trips to the fish soup stall. 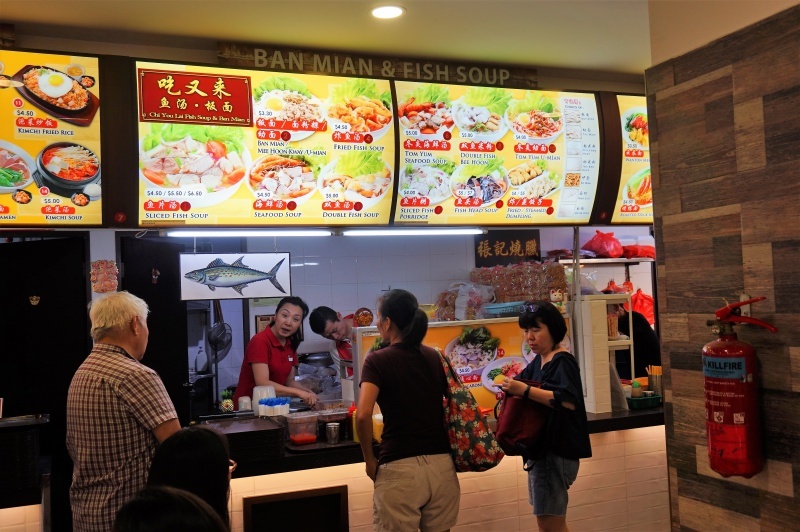 There are two food courts in Loyang Point, Chi You Lai fish soup is located in the All Family Food Court, the one nearer to the Gaint Supermart. Chi You Lai fish soup and Ban Mian is managed by a couple, besides the popular fish soup, there are Ban mian, TomYam seafood soup, dumplings etc on the menu as well. The fish soup is the signature here, always go for the clear soup without the extra carnation milk added so you can fully appreciate the original flavour of the soup. However, whole the sliced fish was impressive, the fried fish was ordinary and missing the wow factor, largely attributed by the coating that was just not fragrant enough to excite the olfactory receptors. Of course, the use of Toman fish can’t match the sliced Batang fish used for the non-fried fish soup as well. 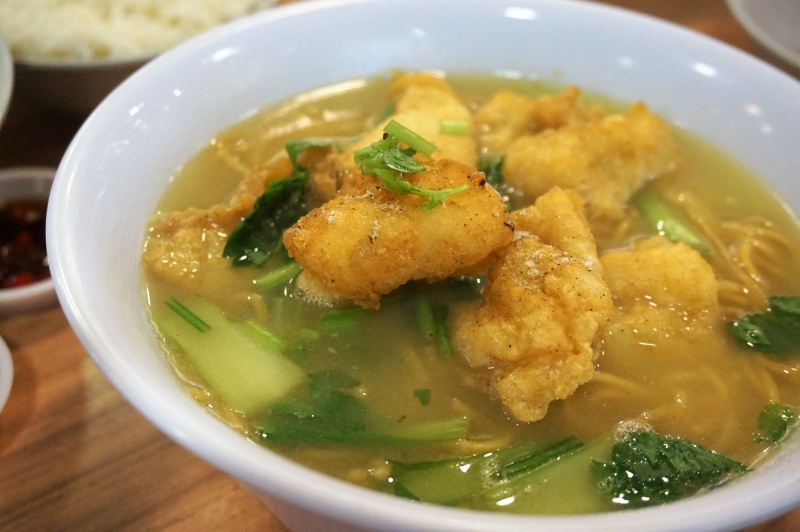 We have not tried the Ban Mian but Chi You Lai fish soup is certainly worth to try if you are looking for healthier and guilt-free meals around the Pasir Ris area. 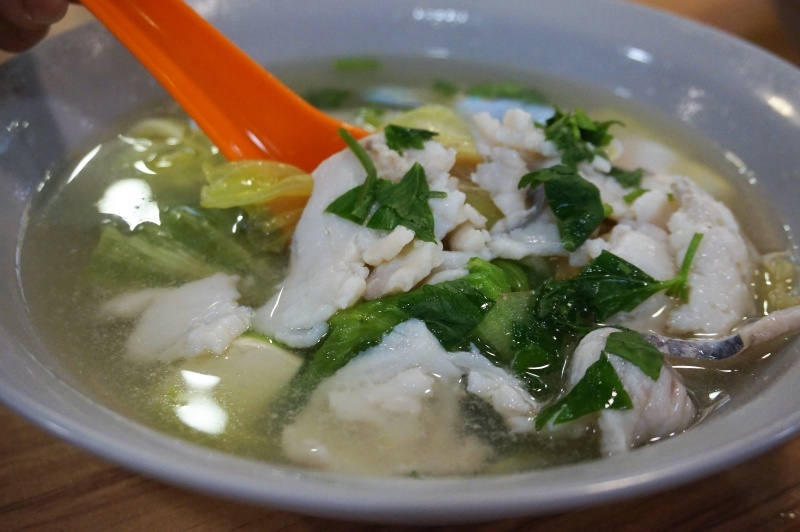 Go for the sliced fish and not fried fish version to savour the goodness of the good fish soup.